Last week I spoke to you about the 7 minute workout. If you don’t want to spent hours in the gym, or spent miles running around the block, but you do want to get some form of high intensity training in your daily routine then the 7 minute workout with its 12 steps is great. This week I’m going to offer you a low impact alternative that was suggested by several people on my Health Matters Facebook page and which I’ve also heard is practiced in group in some offices at the European, Commission. This practice is called the The 5 Tibetans. It is a series of exercises that are reported to be over 2500 years old and are linked with rejuvenation, increased energy, stress reduction, enhanced sense of calm, clarity of thought, flexibility and general improvement of health and wellbeing. And who wouldn’t like all of that? Unlike the 7 minute workout which combines aerobic and resistance training the 5 tibetans is all about getting your energy centres spinning again. The idea behind these exercises is that with age your energy centres spin rate reduces and that this reduction is related to ill-health and decreased vitality. Practice the 5 Tibetans daily – which one could say are 5 specific yoga-like exercises – and thus increase the spin rate of your energy centres and the result is is that you stay healthier and have more energy and stay younger longer. To good to be true? The only way to find out is to try it. Information on these exercises I’ll post on my Health Matters blog and Facebook page but you can also google them by tapping into the search bar 5 Tibetans you’ll find plenty of websites with information. To get familiar with the exercises it is suggested that you start very slowly like with 3 repetitions of each exercise to begin with. Built it up over 2 weeks to up to 7 and when you feel comfortable with them you can increase them to 14 and then 21. 5 to 10 minutes is what it should takes? And if I can make another suggestion do them in the morning? It’s a great way to get yourself going. 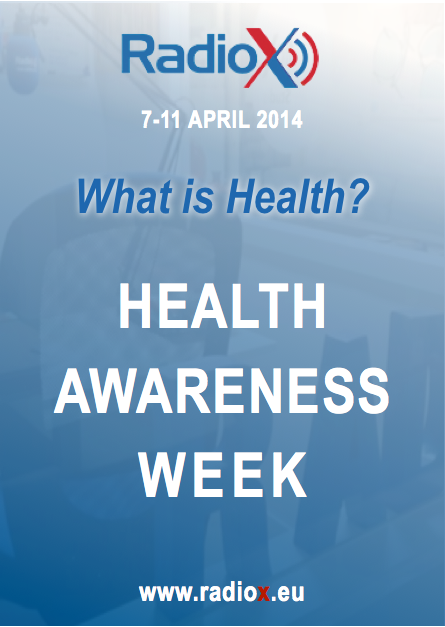 Next week I’ll talk to you about the Health Awareness Week, Radio X is organising between the 7th and 11 of April. In the Health Awareness Week the question “What is Health” will be at the center of the various programs, features and contributions. Want to know more or contribute then keep listening to Radio X.